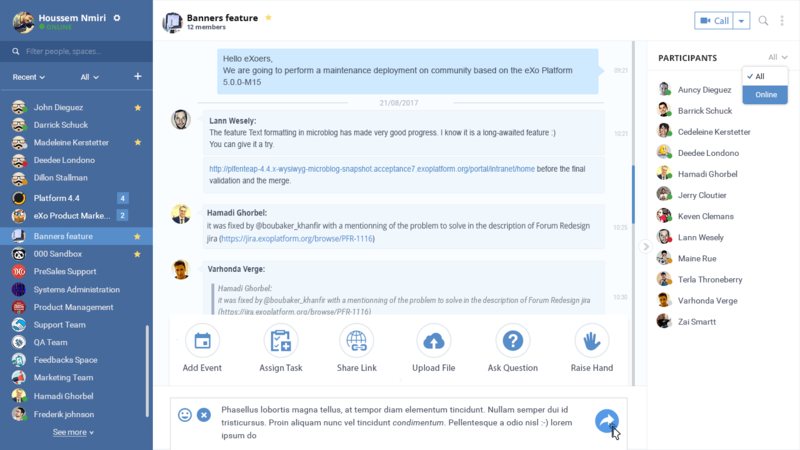 eXo Platform v5.1 Released: Chat, Notifications & Other Improvements! 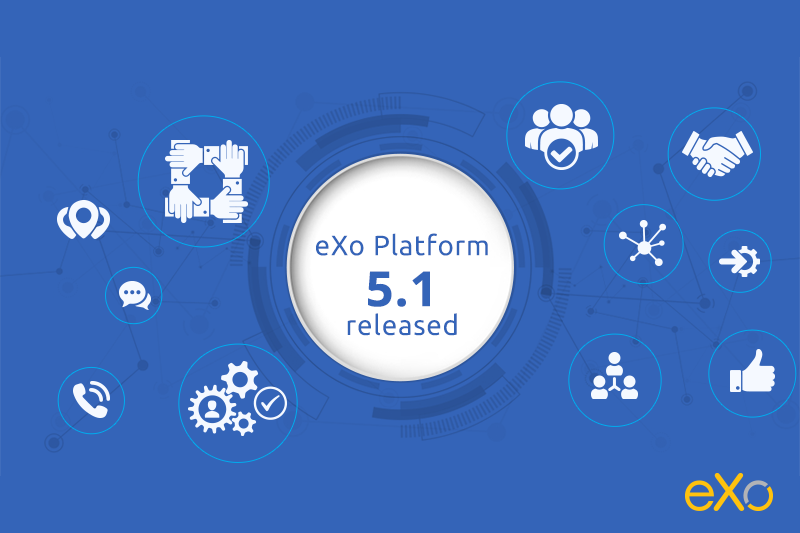 We are excited to announce the immediate availability of eXo Platform’s new version 5.1. 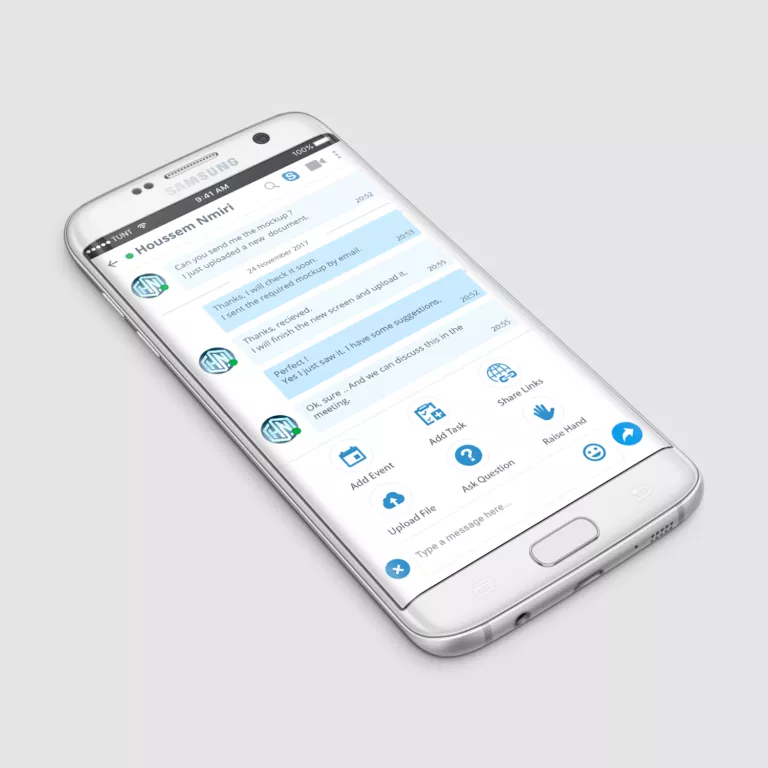 This release improves upon its predecessor version 5.0 with a set of changes focusing on real-time collaboration design, mobility, task management as well as enterprise integration and performance. The Enterprise Edition is being shipped to customers starting today based on this new version and a free trial can be downloaded here. Members of our public online community site “eXo Tribe” could already spot some of its improvements as that site has been running on this new platform version. For the Enterprise distribution, about 22,000 manual and automated tests have been executed in this version on all of the supported enterprise environments and around 160 detected defects were corrected. 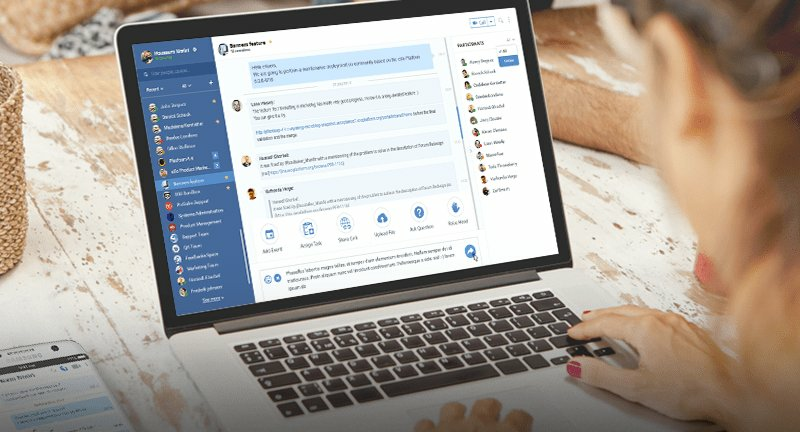 Those familiar with eXo Platform know that it ships with a 1:1 and team chat tool that is conveniently integrated to the platform’s key applications to facilitate collaboration. In this new version, we redesigned this app and introduced a beautiful new interface. It’s now more flat, clean and seeks to offer a more intuitive user experience. In doing so, we also made sure that the new UI is better fitted for mobile devices. Mobile Push Notifications Are Here! 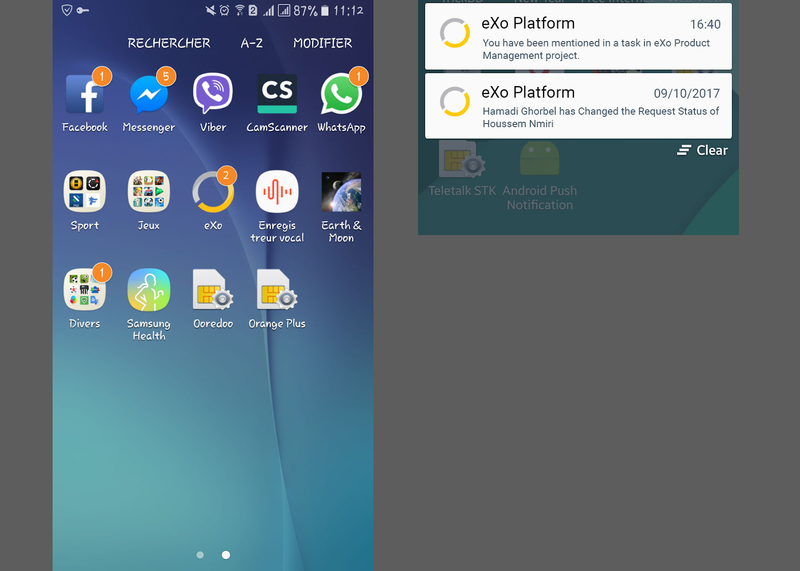 Driven by client request, we introduced support for native mobile push notifications for the eXo Mobile app available for Android and iOS devices. Users can now receive native alerts on their phones about things happening in their eXo Platform site, depending on their personal notification settings. Noisy chat rooms? Now you can just leave them. 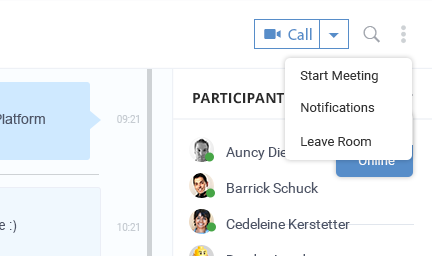 You may already know that the chat module in eXo Platform lets you create chat rooms and invite people to them to discuss and collaborate in real-time leveraging a set of platform-integrated features (documents, tasks, events, meeting notes, web conferencing, etc.). However, we noticed that with time the user can find himself a member in too many rooms that he does no longer needs or in which he’s not needed anymore. This generates unnecessary noise for said user. So we added this feature allowing users to choose to quit a chat room. Any members of a project used to be able to delete its tasks. The Tasks module now allows setting user permissions at the level of projects (and subprojects) allowing to prevent tasks participants or simple observers from deleting tasks which they do not own. Technical improvements focused mainly on enterprise integration. We added support for version 7.1 of JBoss EAP for the eXo Platform Enterprise Edition. We improved multi-source Users/Groups/Roles import by making the retrieval of data from external stores (eXo IDM internal database, LDAP/Active Directory, custom stores, etc.) asynchronous, importing periodically the data into the internal eXo IDM database. We improved user data integration by reducing the data footprint of creating and synchronizing accounts. We also simplified the platform’s cache administration by harmonizing cache configuration in cluster and local modes to simplify its administration. This version also marked the first phase of a new series of security auditing and improvements aided by the feedback of our security-sensitive customer organizations. Last but not least, and as always, this new version packs cumulative bug fixes. Interested in knowing what product improvements we are targeting in the next versions? Simply follow our roadmap page here. A 30-day trial of the eXo Platform Enterprise Edition is available on the downloads page. It ships as a pre-built docker image. On behalf of all the eXo family, we thank you for your support and hope you enjoy another new release of eXo Platform!